We allow your chapters of the human story to develop as you travel. Sites are never considered in arid isolation. They are seen as part of our greater history. Our journeys are not just a list of famous sites. The journey is created with people who know and understand the past as a Journey. Balehageru Tours Ethiopia is a specialist company with independent status. We provide safe and secure tours and Trekking in Ethiopia. We keep everything on a personal level so you experience the best Trekking and travels in Ethiopia. This is true for the land called Ethiopia. Ethiopia has enormous diversity with landscapes of lakes and volcanoes, lush rain forests and ruins dating back to the first century. At Balehageru Tours Ethiopia, we cater to your specific interest from bird watching to Trekking through the mountains and visiting the indigenous tribes and peoples of the most rural areas. We take the time to talk to you. We find out what you really want. We give you individual attention, suiting your every need. Balehageru Tours Ethiopia has over 10 years experience in the business. You can rely on us for personal and professional recommendations on everything from hotels to which restaurant to dine in. Above all you’ll find our team at Balehageru Tours Ethiopia just as enthusiastic as you when planning and booking your’once in a lifetime’ trip! We want to get your holiday right professionally and personally! Your Tours and Travels to Ethiopia will never be forgotten! 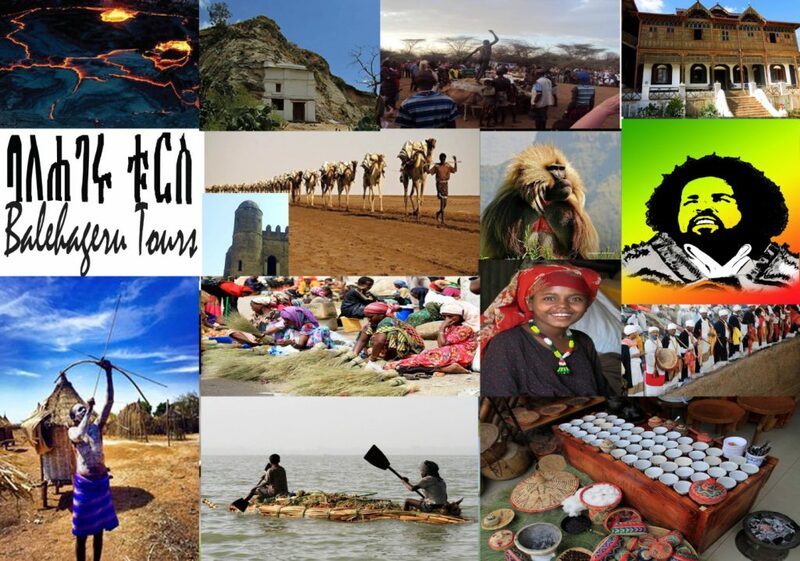 Our vision is to constantly expand Ethiopian tourism internationally, to create strong understanding about the extra ordinary Ethiopian tourism Destinations’ all over the world and to erect new gorgeous Ethiopia.